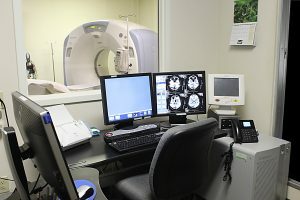 Computed Tomography (CT) – Wayne Radiologists, P.A. CT scans, commonly referred to as CAT scans, are used to detect and treat many different types of disease and medical conditions. Wayne Radiologists is accredited by the American College of Radiology in CT and offers a wide range adult and pediatric CT imaging exams. CT scans use x-rays to produce cross-sectional images of the body. These images are used to evaluate various organs, blood vessels, and bones. Images from a CT scan provide more detail than traditional x-rays. On traditional x-rays structures overlap sometimes making it difficult to make an accurate diagnosis. On a CT scan structures do not overlap and there size, shape and density can be accurately detected. How do I prepare and what can I expect during a CT scan? Preparation varies depending on the body part being examined. Your doctor will provide you with specific instructions for the type of exam you are having. If you have any questions about your exam prep, you can call our office directly at 919-736-5314. During the CT scan you will be asked to lie on a table and hold very still while the images are being obtained and you may be asked to hold your breath depending on the body part being examined. This ensures we obtain clear images that are free from motion. Some types of scans require the administration of IV and/or oral contrast to better visualize blood vessels and the intestinal tract. Most CT scans take 15 to 30 minutes to complete. Will my insurance pay for a CT scan? Most insurance companies will pay for CT scans that are medically necessary, however some require prior authorization before the exam can be performed. Your doctor will work with our office to obtain the prior approval. Please check with your doctor or our office at least one day prior to your exam to ensure prior approval has been obtained. You must have an order from your doctor to schedule an appointment for a CT scan. In most cases your doctor will schedule the appointment for you and will inform you of the appointment date and time. If you have questions about your appointment or need to reschedule you can call our office directly at 919-736-5314.